Pancreatitis is a severe condition characterized by pancreas inflammation. 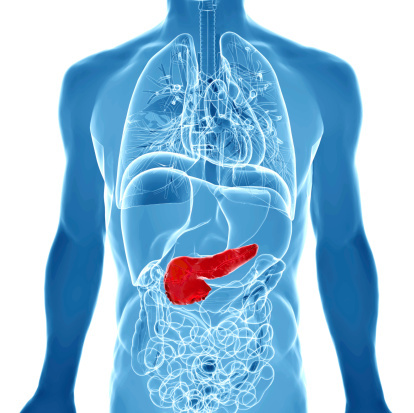 It is the pancreas that makes insulin, which is needed for the utilization of blood sugar. Your pancreas is also responsible for producing digestive enzymes that are needed for the breakdown of food and absorption of nutrients. Certain foods can worsen abdominal pain due to pancreatitis, so it is important to choose the proper diet for pancreatitis symptoms to help you recover from this painful condition. When you have chronic pancreatitis, it is difficult to make digestive enzymes, and this leads to pancreatic dysfunction and nutrient malabsorption. Most people with chronic or acute pancreatitis experience upper left abdominal pain as their main symptom. Other symptoms will include a fever, indigestion, hiccups, bloating with a swollen abdomen, unintentional weight loss, a rapid pulse, abdominal tenderness, and nausea or vomiting. What should you do after a diagnosis of acute or chronic pancreatitis? Initially, your doctor will recommend avoiding food and liquid consumption for several hours or days. When your doctor allows you to eat again, the goal for a proper diet for pancreatitis is to prevent nutritional deficiencies and malnutrition, and regulate blood sugar levels while protecting against pancreatic cancer, liver and kidney problems, and aggravated pancreatitis symptoms. What else should you eat to reduce pancreas inflammation? Many of the foods in the pancreatitis diet are very similar to those found in the Mediterranean diet, including salads, polenta, nuts and seeds, wild-caught fish like salmon, and healthy, plant-based fats like olive oil and coconut oil. Research also suggests that some people with pancreatitis can handle getting up to 30% to 40% of their calories from fat when it comes from whole-food, plant-based sources or medium-chain triglycerides (MCTs) like MCT oil. MCTs may help with nutrient absorption. Consider limiting your fat consumption to around 30 g to 50 g or less of fat per day. What are foods to avoid for reducing pancreas inflammation? There are some factors to consider when it comes to establishing a diet for pancreatitis. For instance, refined carbohydrates can lead to larger amounts of insulin being released by the pancreas. Foods high in sugar also increase triglycerides, and this is a risk factor for acute pancreatitis. What other foods should you avoid to reduce pancreas inflammation? In general, avoid processed foods and high-fat foods like fast food hamburgers, pizza, and French fries. These foods are notoriously problematic for pancreatitis sufferers. The pancreas is needed for fat digestion, and therefore, foods high in fat will make the pancreas work much harder. Although healthy fats like olive oil are better, you should still listen to your body and recognize what foods make you feel healthy and free you from your painful pancreatitis symptoms. Consume smaller, more frequent meals. Eating six times daily may work better than eating three meals each day. Consume a moderate-fat diet. While some tolerate 30% to 40% of their calories from fat, others do better with 25% of their calories from fat. About 30 g of fat per day is recommended, although some people can go as high as 50 g daily. Avoid excessive consumption of fiber at one time. Too much fiber can slow digestion and impair nutrient absorption. Take a high-potency multivitamin to make sure you are getting the nutrients the body needs. Look for a multivitamin with vitamin A, vitamin B12, vitamin D, vitamin E, vitamin K, folate, and zinc. What is the best menu for a pancreatitis diet? Your daily diet should aim to include three servings of gluten-free whole grains, five to seven servings of vegetables, two to three servings of fruit, one to two servings of nuts and seeds, and one to two servings of lean animal protein. Breakfast: A morning smoothie with three cups of spinach, one cup of blueberries, two tablespoons of ground flaxseed, one cup of gluten-free oats, and two cups of water. Mid-morning snack: One apple with almond butter. A glass of water or herbal tea. Lunch: A romaine lettuce salad with a quarter-cup of black beans, one hard-boiled organic egg, a quarter-cup of quinoa, sweet potato, shredded carrots, and green onion. A glass of water. Mid-afternoon snack: A quarter-cup of pumpkin seeds. Dinner: One chicken breast, a cup of brown rice, and a cup of steamed carrots. One glass of water. Evening snack: A cup of kefir with a quarter-cup of grapes. One cup of lemon balm or chamomile herbal tea to help you sleep. Avoid alcohol: Some people with chronic pancreatitis depend on alcohol. Alcohol also is known to increase the damage and pain associated with pancreatitis. Quit smoking: If you smoke, quitting will help a lot. Mind-body practices can help you quit smoking, including acupuncture, tai chi, and hypnosis. Lime juice and black pepper essential oil can also help. Stay hydrated: Drink at least 8 oz. of filtered water per 10 pounds of body weight on a daily basis. Practice relaxation and stress reduction: Meditation and deep breathing exercises can help you ease pain and stress. Also, the addition of yoga to your exercise routine can help you improve your overall quality of life when you suffer from chronic pancreatitis. Other ways to reduce stress include spending time in nature, keeping a journal, and cognitive behavioral therapy. Pancreatitis, or pancreas inflammation, can produce painful symptoms like abdominal pain, a swollen abdomen, abdominal tenderness, bloating, and indigestion. To prevent pancreas inflammation, it is good to follow a diet for pancreatitis. A healthy, nutrient-dense diet for pancreatitis will include vegetables, fruit, gluten-free grains, nuts, seeds, and lean protein sources like wild-caught fish, and probiotic foods. Foods to avoid for improving pancreas health include known or suspected allergens, alcohol and caffeine, fried foods, sugary foods, white flour products, processed meats, and trans fats. Besides adopting a diet for pancreatitis, it is also a good idea to quit smoking, stay hydrated, and practice relaxation and stress reduction techniques like yoga, meditation, and spending time in nature. Individualized Homeopathy: A Natural Type 2 Diabetes Remedy? “The right diet to ease abdominal discomfort,” Cleveland Clinic; https://health.clevelandclinic.org/best-and-worst-foods-for-pancreatitis-pain/, last accessed October 16, 2018. “Treatment,” NHS; https://www.nhs.uk/conditions/chronic-pancreatitis/treatment/, last accessed October 16, 2018.